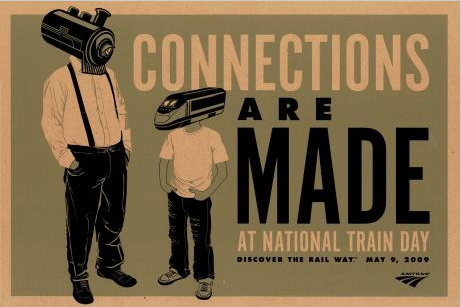 National Train Day may be over. 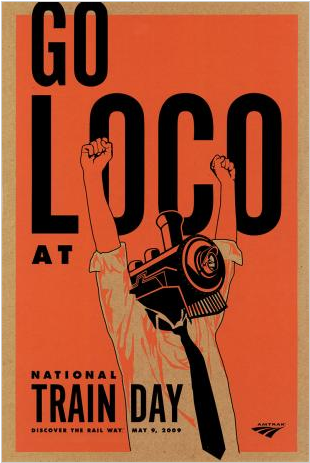 But I still want to throw a shout out to Kelly Cooper and Anibal Quinones for their rad National Train Day posters. If you dig them, too, vote for them here. I run a convenient store at my desk at Arnold DC. I sell candy, chips, muffins, rice krispie treats, soup, etc. I started it because I was sick of how expensive everything was in our vending machines. And it really ticked me off when I would buy something and it was stale. Grrr! My store is called Sugar Mama and my coworker, Anibal Quinones’ wife was kind enough to make me a logo. It’s sweet!